On Tuesday, the American journalist Abby Martin seemed to commit premeditated professional suicide on Russia’s RT TV channel – her employer – by criticising the Russian invasion of Crimea, part of the Ukraine. On Wednesday, her colleague Liz Wahl did resign live on air. I asked RT’s American financial guru Max Keiser about this when I chatted to him in London’s Soho yesterday. Max, of course, is not shy of expressing his own opinions. Nor of unexpected actions. A couple of weeks ago, he launched a crowdfunding site called StartJOIN, just one week after he launched his own alternative currency – Maxcoin. Maxcoin was the biggest launch in the history of altcoins and achieved a $5 million market capitalisation within a week. Maxcoin is similar to Bitcoin, Litecoin and other crypto currencies. Max himself, as I mentioned in a previous blog, is a former Wall Street stockbroker and still occasional stand-up comedian. But launching your own crypto currency is no joke. “That one exchange collapsed,” said Max, “but it has nothing to do with Bitcoin. It’s like saying the London Bullion Market Association might collapse one day – but that wouldn’t really affect gold. “Based on Stacy Herbert?” I asked. “Roseanne Barr is trying to finance a new film via your StartJOIN crowdfunding site,” I prompted. “Now there’s a thing,” I said. Bailout 2 is described on the StartJOIN site as “a hard-hitting, mud-slinging, social and political documentary exploring the Eurozone Crisis”. “So what is your new StartJOIN site?” I tried. “It’s crowdfunding – proper crowdfunding,” replied Max. “But there’s no money in the Edinburgh Fringe,” I said. “Well,” said Max. “I went to the Fringe for the first time last year and fell in love with it. But you hear over-and-over again about performers going up there and losing money. Crowdfunding seems perfect as a way to solve that problem: to get money up-front so you don’t have that economic risk. All the shows: comedy, theatre, music, lectures, whatever. “The economics of the Fringe are terrible because the performers lose money for the most part. They have to come up with money ahead-of-time, then they have to go there and try to make it back and, for the most part, they don’t. So crowdfunding is perfect for this; it allows performers to raise money before they go and, when they get to the Fringe, they can concentrate on just doing their show. “You see yourself as a modern-day Medici helping artists?” I asked. “Isn’t launching a crowdfunding site and your own crypto currency dodgy?” I asked. “And, as for the Edinburgh Fringe…?” I said. “What are you going to rage about?” I asked. “Surely that’s a world-wide thing, not just in the UK,” I suggested. “The UK is possibly going to recognise Bitcoins, isn’t it?” I said. 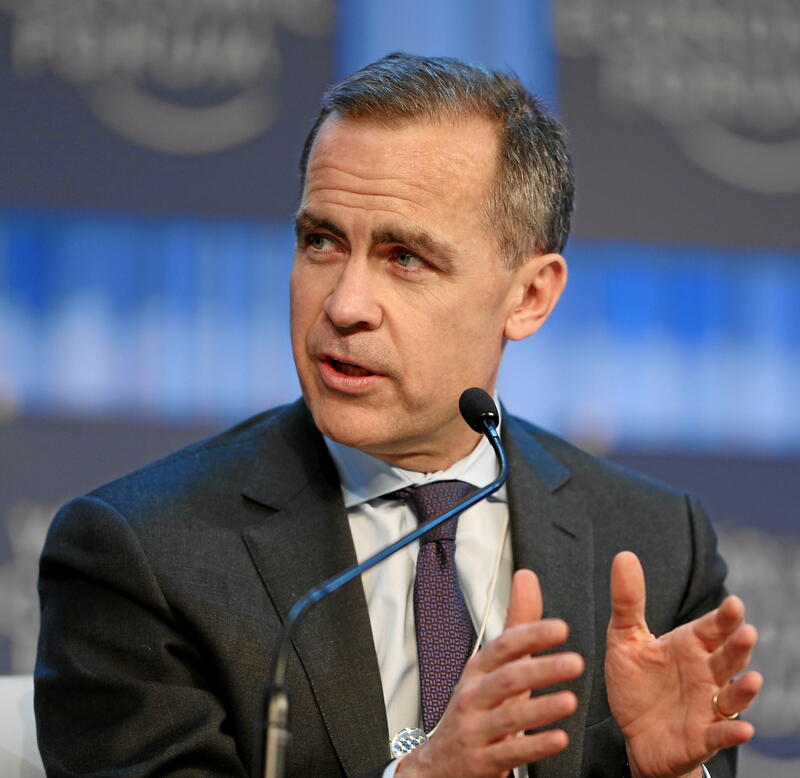 Mark Carney: Is this fine Canadian man a brain-damaged ex-hockey player or is he only Chairman of the Bank of England? “You’re just averse to him because he’s a Canadian and you’re a Yank,” I said. “What about Charlie Brooker? asked Max. “He does a show called Newswipe,” said Max. “Yes,” I had to agree. “Am I to be blamed for this?” I asked. “I want the people to know I’m not happy,” said Max. “Because, by all rights, he should have a clip of my show on his Newswipe show. He’s the only guy I like in UK media. Charlie Brooker’s got the best show in the UK right now. It’s the funniest and it’s very biting satire. He’s a very talented guy. “If you can’t sell it, no-one can,” I said. 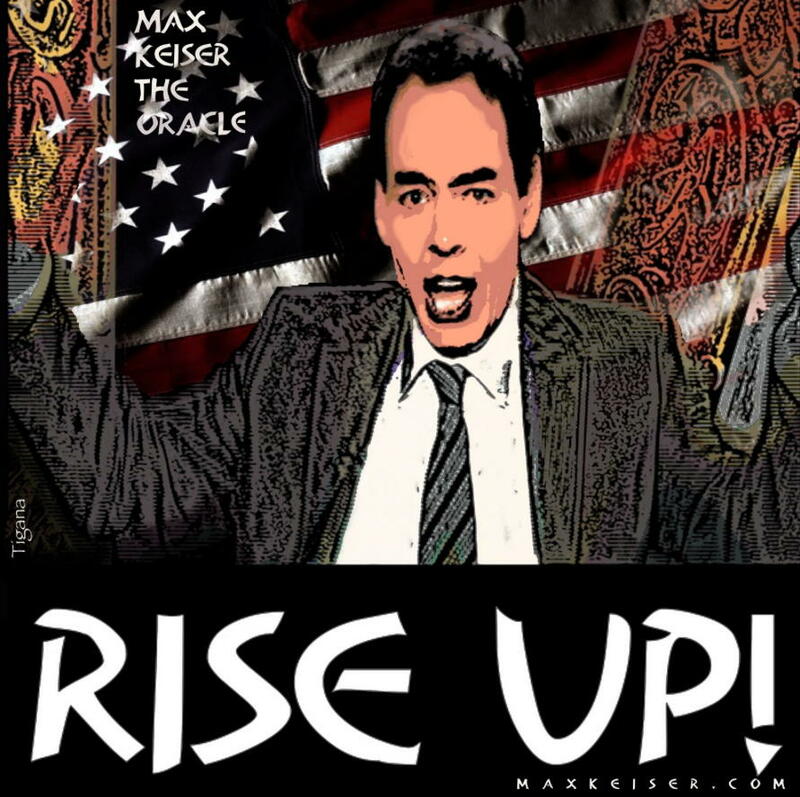 Max Keiser is such a good salesman he could even, in my dreams, sell laissez-faire rather than blindfolded pragmatism to the Russians. 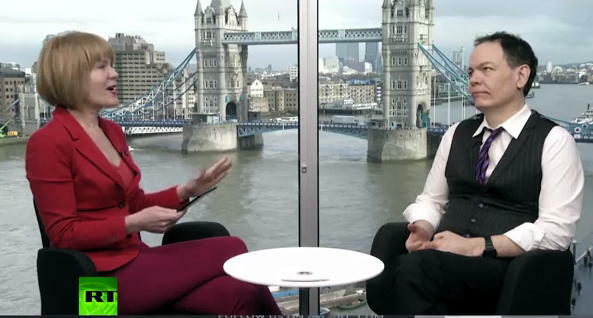 Excellent interview…it’s just a matter of time before the corrupt banking system crumbles – their fundamentals are worse than 2008. I’m a huge supporter of Max, Maxcoin, and StartJoin! It would be amazing if the UK would become the Bitcoin capital of the world. 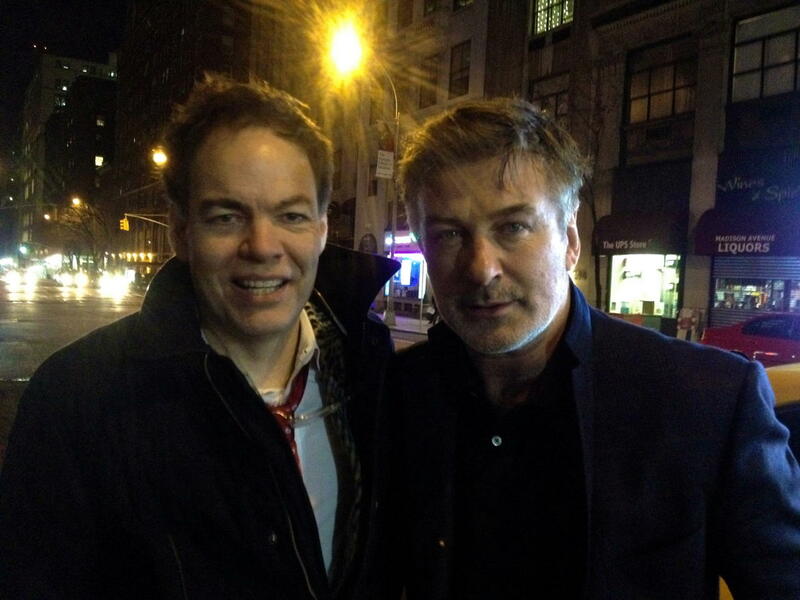 Glad you didn’t get Alec Baldwin. Movie Stars don’t carry the clout they think they do, but you and Stacey do. You’re a perfect microcosm of crazily brave talk. I record it but it’s six hours of recording and then FF-ing until I find the twice of you. When will RT do their show in titled chunks?